I couldn’t resist this photo of Baker Tower with a gorgeous afternoon sky. My iPhone 4S was handy, but wasn’t quite up to the task of capturing the brilliance of the sky or the gold in the those clouds. Still, just wanted to share! 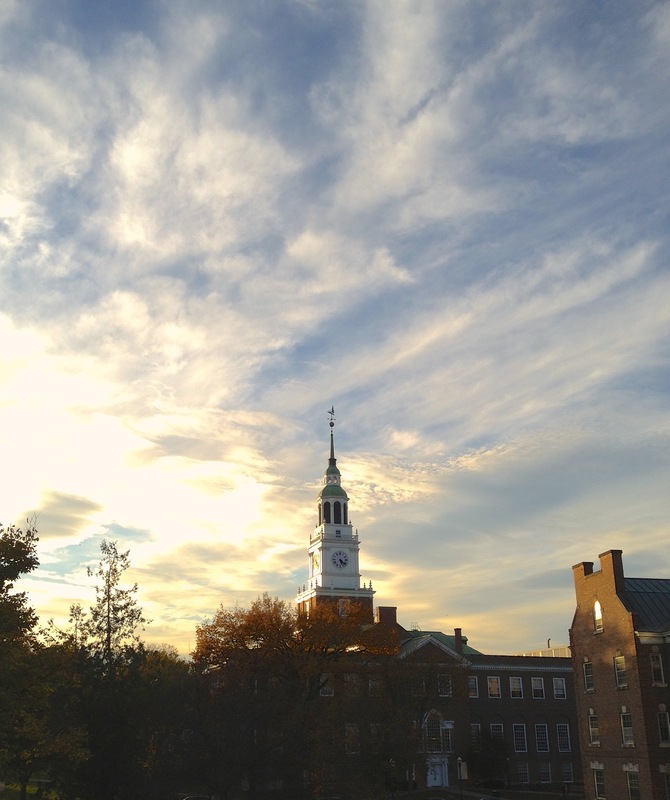 October sky above Baker Tower, Dartmouth College.